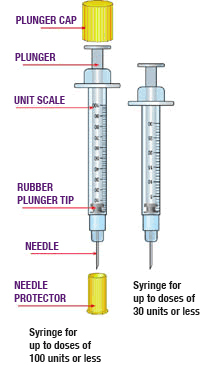 This is the most common method for administering insulin, and are classified by insulin dose capacities (30, 50 and 100 units). It’s very important to follow the right instructions to dispose of your injectors. The safest way, is to place them in a resistant container that could be sealed before throwing it in the garbage. Jet Injectors: These devices don’t have needles, as the insulin is injected into the skin through a thin stream pressure (shot by a jet injector). 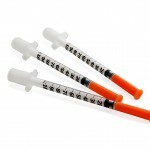 Insulin Pens: Insulin pens, as the name suggests, are devices with the appearance of a fountain pen that contain the amount of insulin required at a given moment, and have the advantage that people don’t need to carry around syringes and insulin vials. Insulin Pumps: Introduced to the U.S. market in the late 70s, these devices administer small doses of crystalline or neutralized regular insulin (rapid-acting) continuously throughout the day and night. 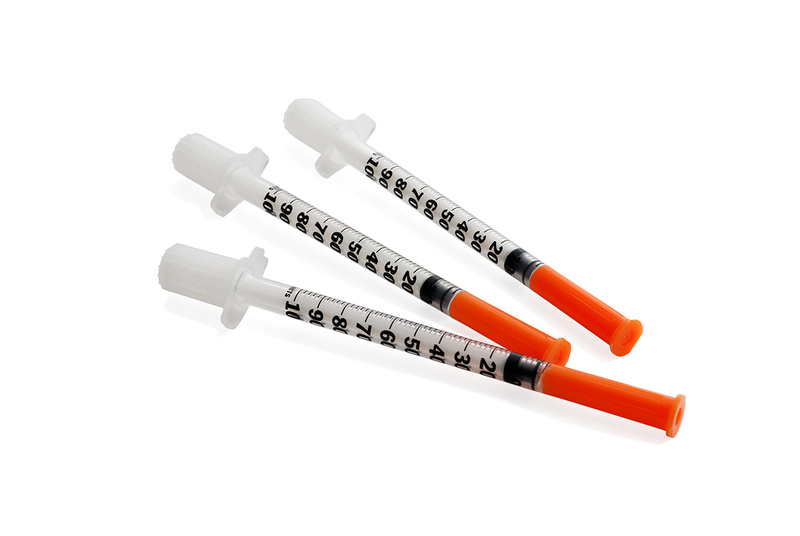 This insulin is pumped from a small container where it’s stored, through a plastic tube to a needle into the skin. These devices provide the closest alternative action of a healthy pancreas. In addition, modern insulin pumps, are becoming lighter, thinner, and more accurate in administering insulin to provide, people with Diabetes, a new degree of freedom and control. Infusion Method: This method involves implanting a needle into the skin for several days, to serve as a “gateway” for injections. 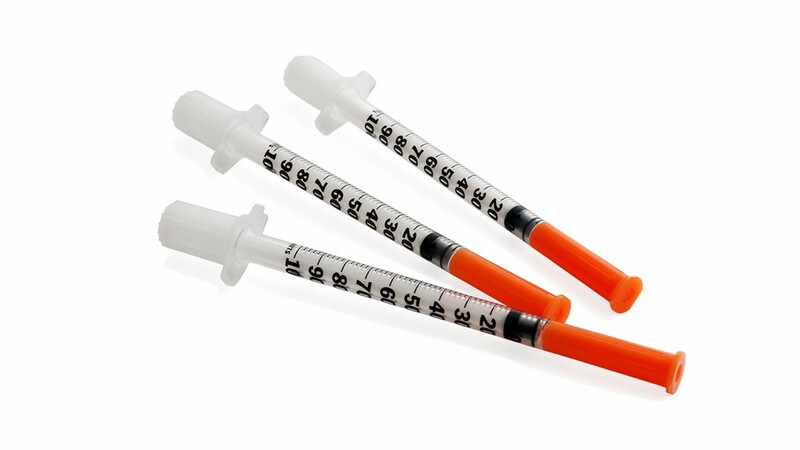 There are other insulin administration methods which are in their research phase and will be commercially available in the future. This includes oral insulin “sprays” (Inhalable insulin), for a safe and effective insulin administration. “Bionic” pancreas, which consists of a device similar to the insulin pump, but that is also connected to a system of continuous glucose monitoring and, depending on the results, makes the device introduce either insulin (when the glucose levels are rising), or glucagon (when glucose levels are falling).